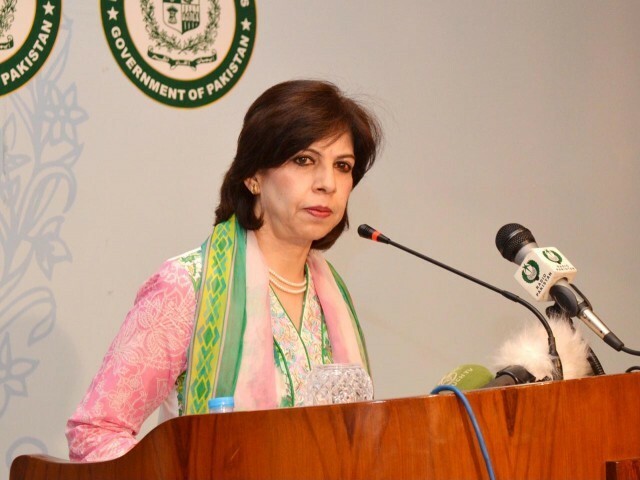 Earlier this year, the Foreign Office claimed that Pakistan had “combed Pakistani territory in search of missing Iranian guards, however, there are no clues that they are on our land”, only to find themselves apologising soon after when one of the missing Iranians was murdered inside Pakistan. Photos of the kidnapped guards being held by jihadi militants inside Pakistan were circulated when they Iranians were released. More recently, the Foreign Office committed a blunder of epic proportions by responding to American economic sanctions against jihadi groups in Pakistan by demanding evidence that the targeted groups were involved in terrorism despite the fact that each of the groups had previously been termed as terrorist groups by the United Nations and were even banned in Pakistan. The pattern is one that has long been evident. Any time there is an allegation of terrorist activity originating inside Pakistan, a defensive stance is taken and demands are made for ‘evidence’. This was the same when the US claimed that Osama bin Laden was living in Pakistan, only to have the most wanted terrorist killed while living comfortably outside the gates of PMA Kakul. Pakistan is experiencing a grave national security crisis due to the increasing use of Pakistan as a hub of operations for international terrorist groups carrying out attacks in Afghanistan, China, India, and Iran. The Foreign Office’s inability or unwillingness to honestly address the terrorism crisis is deteriorating any remaining good feelings even among our long time allies like China who recently canceled their official visit to Pakistan. In the delicate game of international relations, credibility is everything. Today’s mishandling of escalating tensions with Iran may have destroyed any credibility the Foreign Office had left. That is a national security crisis in itself. This entry was posted in Blogs and tagged afghanistan, China, Foreign Office, india, Iran, OBL, Osama bin Laden, Tasnim Aslam, terrorism, United Nations by Sidra Jafri. Bookmark the permalink.